Summer isn’t over yet – and thank goodness! This simple summer salad is too good to pass up! This low-calorie salad is a perfect dish to serve while entertaining as a sweet, refreshing appetizer that won’t fill your guests up too much before the entrees. Watermelon contains hydrating water for hot summer days and spinach offers up folate, vitamin K, vitamin C and iron. And the best part? This salad takes less than 5 minutes to prepare! *Entertaining? Just keep doubling the recipe until you have enough – this recipe is super simple to make for 1 person – or 20! 1. Divide spinach evenly into two bowls (or small plates). 2. 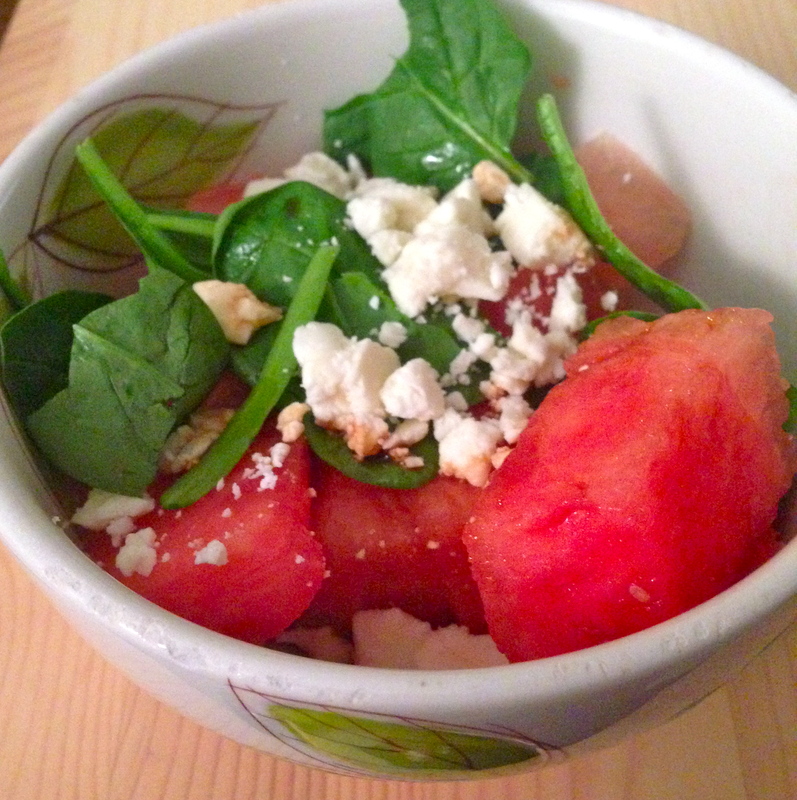 Top each plate with 1 C watermelon and 1/8 C crumbled feta cheese. Drizzle 1 Tbsp balsamic vinegar over each plate. Enjoy! This simple salad is a must-try for summer. I am always trying to make my salads interesting by using different textures and flavors. Black beans and chicken add protein and flavor to this bed of veggies, while avocado adds satisfying texture. 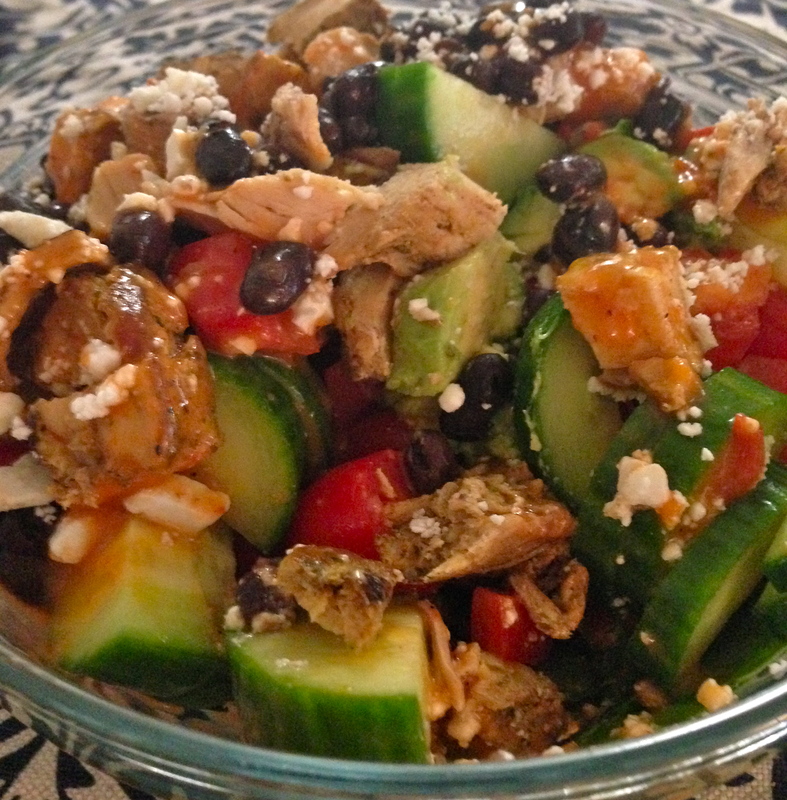 Also, this Southwestern-style salad has a kick to it – perfect for the summer heat! 1. Place spinach in medium-sized bowl. Add avocado, cherry tomatoes, cucumber slices, corn and red bell pepper. 2. Warm black beans in microwave (about 25 seconds). Add to salad. 3. Warm chicken in microwave (about 1 minute) and chop. Add to salad. 4. Drizzle dressing over salad and enjoy! This simple breakfast guarantees you will start the day on top with a rainbow of vegetables before you even walk out your door. Broccoli and spinach offer up vitamin K and folate, while tomatoes and red bell peppers offer vitamin A. 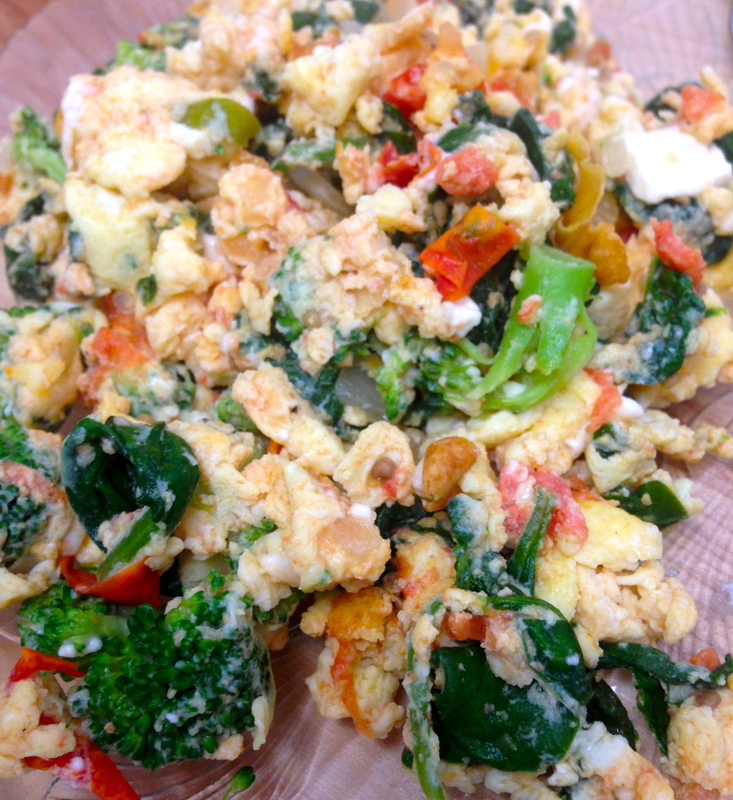 Also, eggs will keep you feeling full from their high protein content without weighing you down! 1. Warm butter or margarine in small skillet over medium heat. Add onion and cook for 3-4 minutes. 2. Add tomatoes, mushrooms and bell pepper to skillet and cook another 5 minutes, stirring occasionally. Add spinach and cook until wilted (about 2 minutes). 3. Place broccoli florets in covered, microwave-safe bowl and steam for 30-45 seconds, until broccoli is bright green (but still firm). 4. Crack egg in small mixing bowl and add two egg whites. Add splash of milk, salt and pepper. Whisk well and pour over vegetables in skillet. Cook until egg is cooked through (approximately 7-10 minutes). Add steamed broccoli and feta cheese. Cook for another minute (so cheese melts) and remove from heat. Enjoy! Farro is a whole grain that tastes like a cross between brown rice and pasta – and is full of hearty fiber, protein and taste! Farro and shrimp make this simple dish a protein powerhouse, while the veggies offer a ton of vitamins and minerals. I like to make this dish at the beginning of the week so that I can enjoy the leftovers (hot or cold) throughout the busy week. 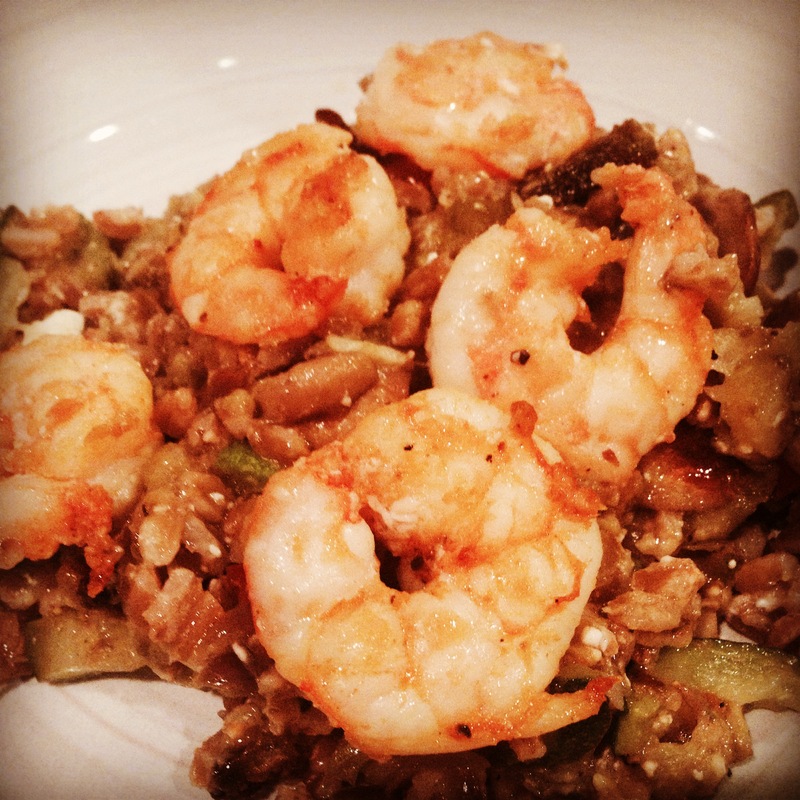 Just be sure to store the shrimp separate from the farro so that it lasts longer. 2. Remove skin from eggplant (optional). Chop eggplant, zucchini, red bell pepper (with seeds removed) and onion into pieces of similar size. Dice garlic cloves. 3. 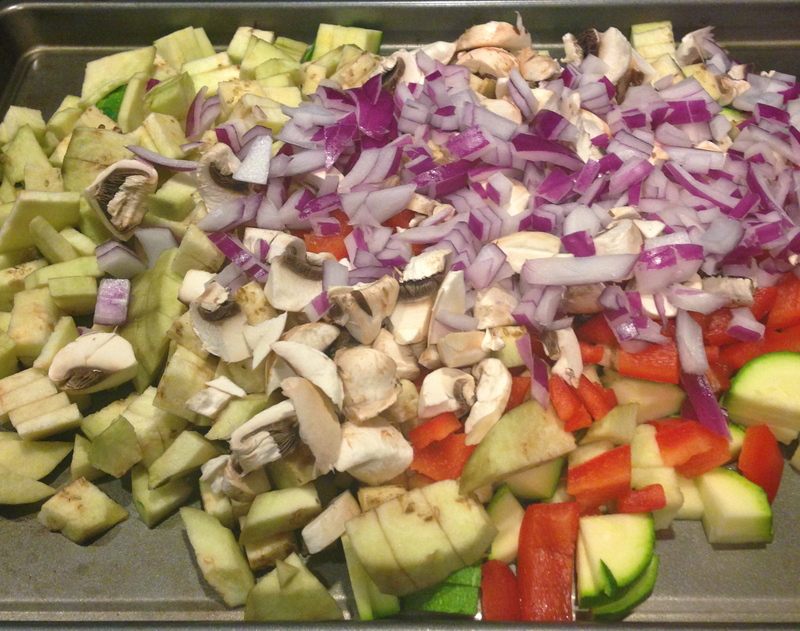 Place chopped vegetables and garlic on baking sheet. Add mushrooms, 1/4 C olive oil, and 3/4 tsp each salt, ground black pepper and garlic powder. 4. Roast vegetables in oven until soft and browned (approximately 20 minutes). 5. 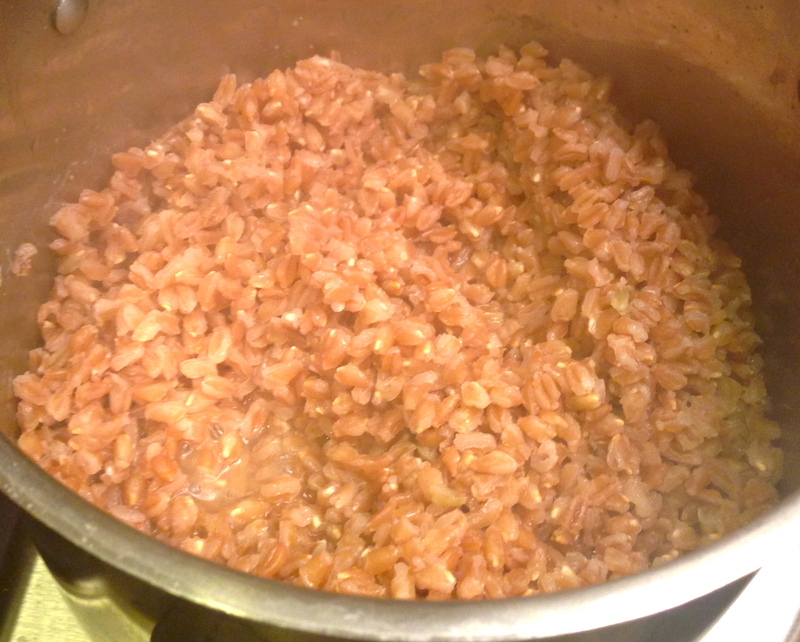 Place 1 C farro and 2 C either water or low-sodium vegetable broth (whichever you prefer) in small pot. Bring contents to a roaring boil and allow to boil for about 5 minutes. Cover contents with lid and simmer until all liquid is absorbed (approximately 20-30 minutes). 6. Place shrimp in small mixing bowl with remaining 1 Tbsp olive oil, 1/4 each tsp salt, ground black pepper and garlic powder, and 1/2 tsp paprika. Mix contents and transfer to small skillet warmed over medium heat. 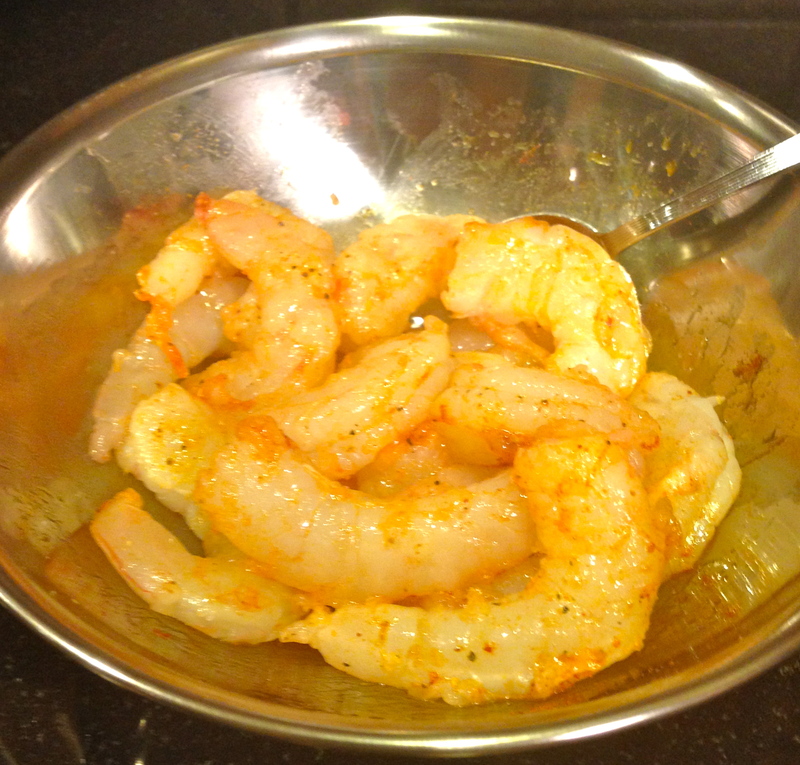 Cook shrimp until they are pink on the outside and no longer translucent (about 3-5 minutes on each side). Remove from heat. 7. Combine farro with roasted veggies in large bowl and add feta cheese. Top with sautéed shrimp and enjoy! Shrimp are ready to be cooked! Avocados are my go-to addition to salads, sandwiches and pretty much anything! The creamy texture is satiating while offering heart-healthy, monounsaturated fatty acids. Also, avocados are rich in many vitamins and minerals, such as vitamins K and C, folate(B9) and potassium, while offering up a hearty dose of fiber. This simple avocado toast gives me my avocado fix while filling me up in a matter of minutes – great for breakfast on busy mornings or as a snack! 2. Mash avocado in bowl. 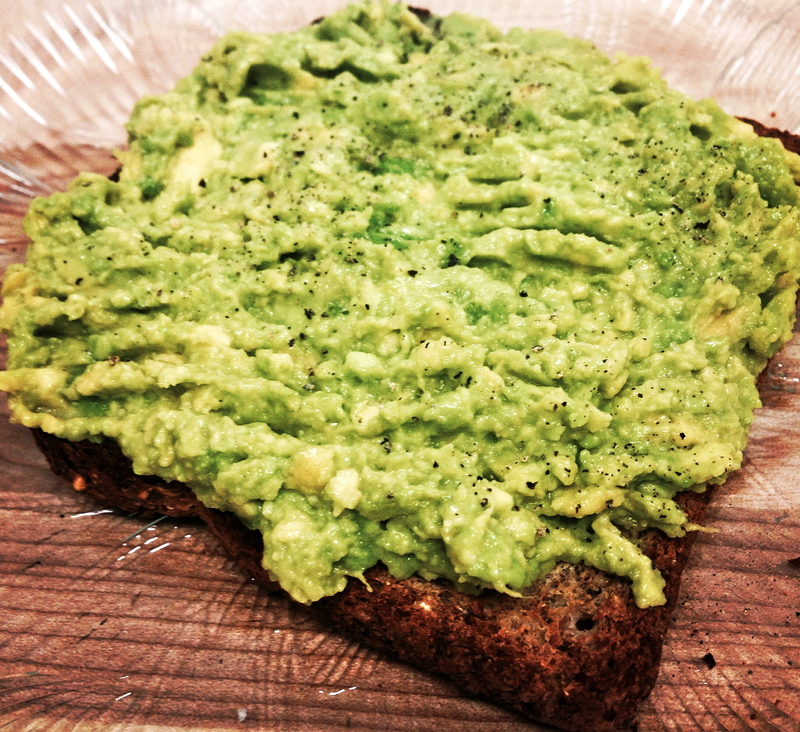 Top toast with avocado mash. 3. Sprinkle salt and pepper over avocado. Enjoy!